Full Tilt Poker employ the strictest anti-hacking security standards so you can deposit and withdraw your money with absolute confidence. 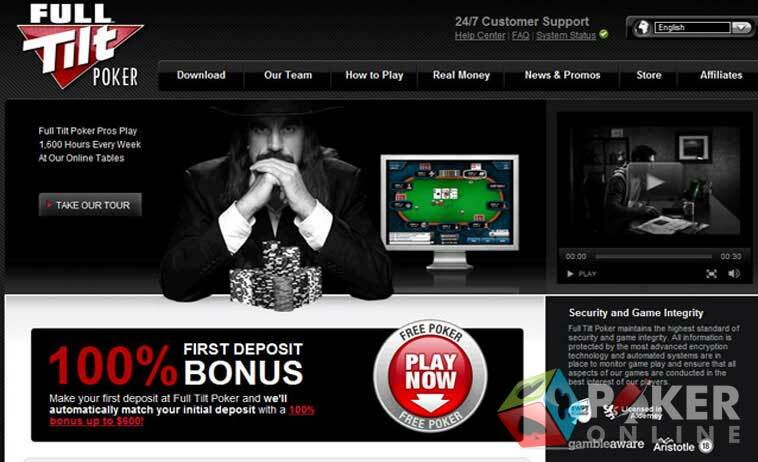 The online poker gaming world, and especially Full Tilt Poker players who are eagerly waiting to access online poker funds they have not seen for the past one-and-a-half year, are looking forward to the re-launch of the online poker giant on November 6, 2012. When PokerStars, the present owner of Full Tilt Poker, will finally re-launch Full Tilt Poker as a separate brand in the European market, players can log into their accounts as usual and either withdraw their funds or use them to play online poker games at Full Tilt Poker. To put it in simple words, Full Tilt Poker is going to be back, but this time with a different owner, a different licensing jurisdiction, and a different board of directors. Players who have been closely following the Full Tilt Poker saga will remember that Alderney suspended the online poker giant’s licenses to operate online poker gaming services in June 2011, shortly after the US federal government cracked down on it. PokerStars has applied for licenses for Full Tilt Poker in the Isle of Man, as a result of which Full Tilt Poker will operate with a Man of Isle license. Poker players should, however, note that Full Tilt Poker will not be available for players in France, Denmark, Italy, Estonia, Belgium, and the United States. However, it will be available to players in almost all the countries over the globe, and PokerStars is planning to get another license for Full Tilt Poker from the Malta Gaming Authority. Team Full Tilt, one of the most attractive features of Full Tilt Poker before the federal government crackdown of Black Friday, will be back too. PokerStars has already made a declaration that poker player Gus Hansen was appointed as the brand ambassador for the re-launched Full Tilt Poker brand and many other professional poker players will soon be getting on board. The full list of Team Full Tilt will be published before Full Tilt Poker re-launches on November 6, 2012. This means that Full Tilt Poker’s online poker gaming community can start playing with famous poker pros again, interacting with them and learning important poker tips, strategies, and tricks from them. Full Tilt Poker’s new owner says that slight changes will be made to the offerings of online poker tournaments and cash games; however, no major changes will be made to the payout structure and tournament schedules. 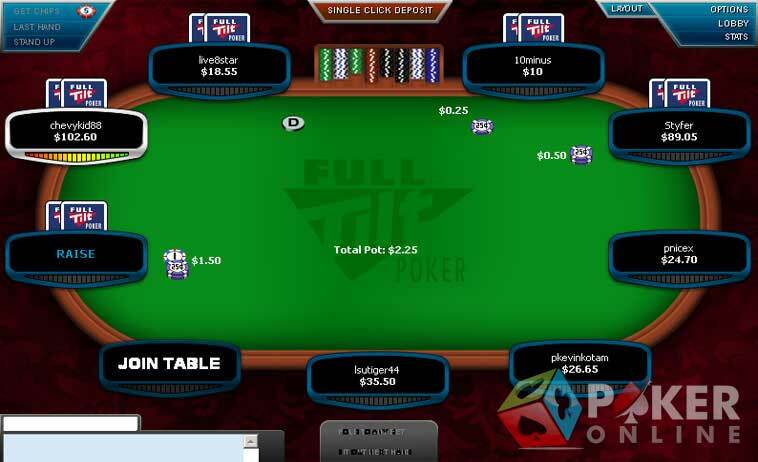 Full Tilt Poker is home to all the popular variants of online poker such as Omaha Hi/Lo, Texas Hold’em, Mixed Games, Omaha Hi, Stud Hi, Razz, Stud Hi/Lo and Draw Poker. One of the most popular poker variants at Full Tilt Poker is Rush Poker, a variant of high-speed poker that enables players to play several hands in the shortest period of time. New players do not need to be overwhelmed with the variety of games at Full Tilt Poker because the online poker room is an excellent online tutorial and guide, helping new players to learn all that they need to know about poker rules, tips, and strategies. Full Tilt Poker offers the largest collection of promotions, giving players the chance to win large cash prizes, exciting non-cash prizes, cash backs and bonuses, and prize packages to prestigious live poker tourneys like the Irish Open, the Aussie Millions, the World Poker Tour and also the renowned World Series of Poker and others. According to the latest Full Tilt Poker news, the immensely popular Full Tilt Online Poker Series (FTOPS) will be back in December. Shyam Markus, room manager for Full Tilt Poker, has announced on Two Plus Two Forums that FTOPS will be run between December 2 and December 16. Full Tilt Poker also rewards player loyalty and wagering activity in the most fabulous way possible. Players who wager real money will receive points, which they can spend at the Full Tilt Poker Store. Loyalty points can be used to purchase bonuses, tickets to online poker tournaments and cash games, and much more. A strong account link will be created between Full Tilt Poker and PokerStars, allowing players to transfer funds from their Full Tilt Poker account to their PokerStars account and vice versa with ease. Players who wish to pair their Full Tilt Poker accounts with their PokerStars accounts will be required to go through a simple procedure. They also need to create accounts at both the sites. Existing players who login to their accounts on November 6 when the site is re-launched can withdraw their funds immediately without having to bother about any pending wagering requirements. Although Full Tilt Poker processes funds quickly, the time taken before players will receive their money depends on the withdrawal method chosen. Players who wish to play for real money at Full Tilt Poker can deposit funds into their accounts using a wide range of reliable banking methods including credit/debit cards, prepaid cards, gift cards, and alternative payment methods (APMs). The customer care service at Full Tilt Poker has always been the best and will always be the best. The online poker room is aware that most of its existing players will have forgotten their login details after the one-and-a-half year gap, owing to which it has expressed its willingness to assist players to login to their accounts even if they forgotten all their account details. Players simply have to provide their identity proof to the online poker room. They can send an email right away to support@fulltiltpoker.com. A comprehensive Frequently Asked Questions (FAQ) section is also available at www.fulltiltpoker.com, and players can visit the site to get answers to every query they might have at present. Right now, PokerStars is the first largest online poker room in the industry and Party Poker is the second largest. Before the US government crackdown, Full Tilt Poker used to occupy the number two position, and only time can tell whether Full Tilt Poker will recapture its past glory in terms of player traffic.